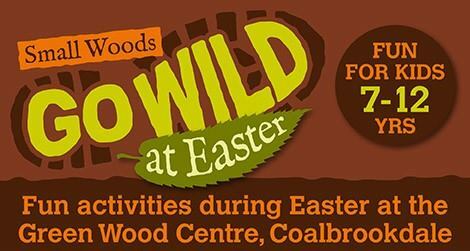 Crafty Kids Go Wild this Easter! The kids will be using clay to make a clay pot and paint it with natural paints. After crafting with clay we will go into making a whole arrow from slate point and feather fletchings. To book a place or for further information please email us at office@smallwoods.org.uk or tel 01952 432769.